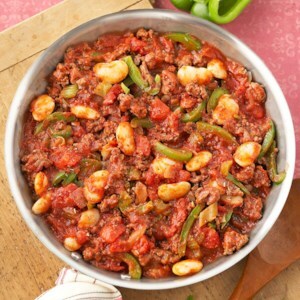 Lean ground beef is a great ingredient to have on hand for healthy dinners. 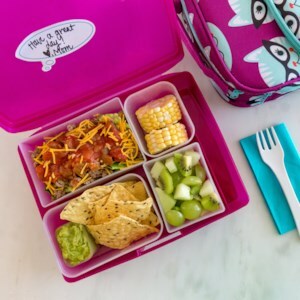 It's quick-cooking, inexpensive and packed with protein for a satisfying meal that the whole family will love. 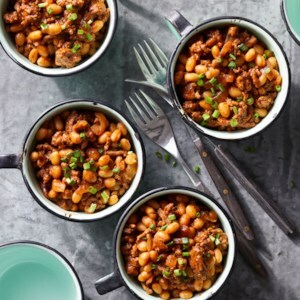 But if you're getting bored with the same old ground beef go-tos, try one of these unique recipe ideas to use up that pound of ground beef in your fridge or freezer and get out of your beef rut! 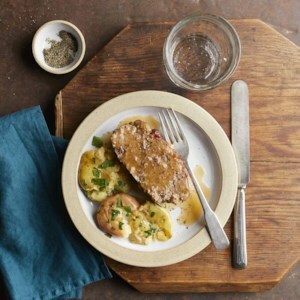 Meatloaf and potatoes cook together in your multicooker, such as the Instant Pot, in this weeknight-ready recipe. 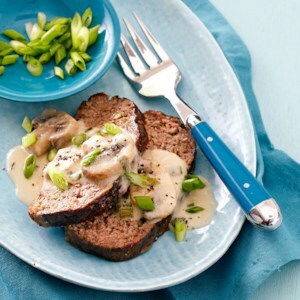 Cooking meatloaf in your pressure cooker keeps it nice and moist and, once assembled, the whole meal is cooked in just 20 minutes! 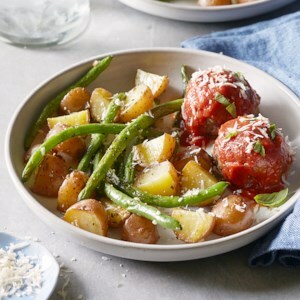 Meatballs, green beans and potatoes happily coexist while roasting together on a large sheet pan. 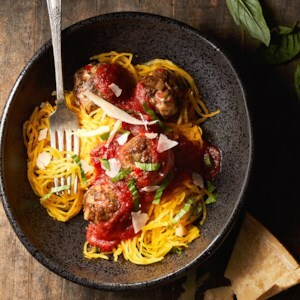 Seasoned with fresh rosemary and Italian seasoning and served with pasta sauce and Parmesan, this one-dish meal is one you'll want to make again and again. 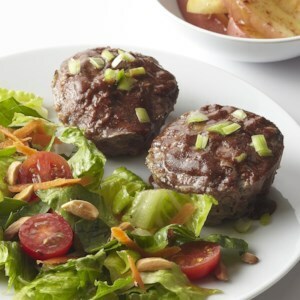 These mini meat loaves are cooked in a muffin tin. A barbeque-horseradish glaze is baked on at the end, adding a sweet and zesty flavoring to the loaves. 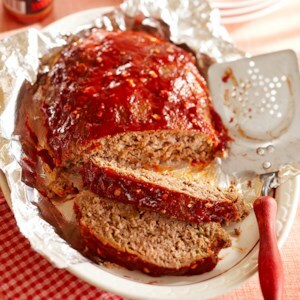 This fabulous meat loaf is moist, tender and colorful. 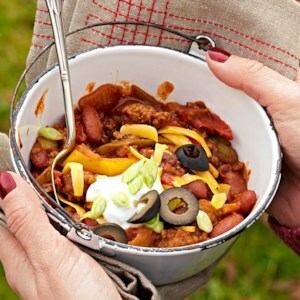 Keep the fat content low in this recipe by using lean ground beef and refrigerated egg product. 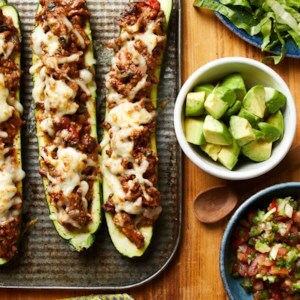 Slash the calories and carbs of traditional stuffed peppers by swapping white rice for cauliflower "rice." The riced cauliflower is hearty and won't turn to mush during baking. 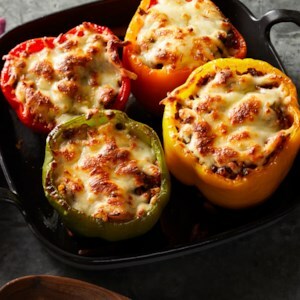 Use an assortment of red, yellow, orange and green peppers to make an appealing presentation. Make this entire meal in one skillet! The beef soaks up the flavor from the vegetables and herbs, making it juicy and full of flavor. Looking for a pasta that's lower in carbohydrates? Look no further than spaghetti squash. 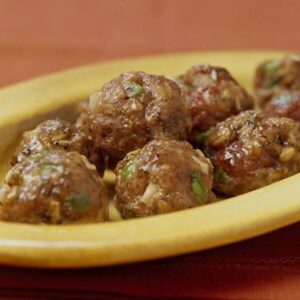 Mix it with homemade meatballs and lower-sodium pasta sauce, and you will quickly love this healthy swap. 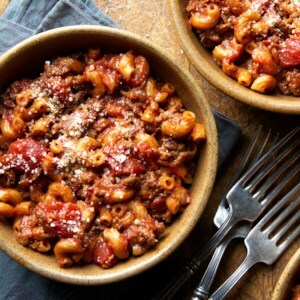 American goulash, also known as old-fashioned goulash, is the perfect economical family meal. 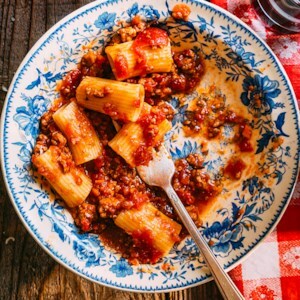 The pasta cooks right in the sauce, so this satisfying dish can cook in just one pot. 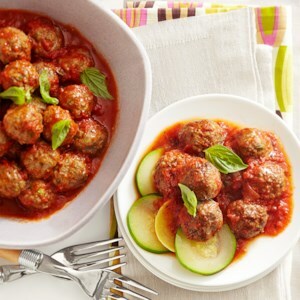 You can't go wrong with these classic marinara meatballs filled with applesauce, zucchini, and green onions. 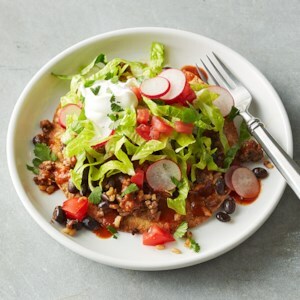 It's easy to make your own lower-sodium enchilada sauce to add rich flavor to these fresh and light tostadas. 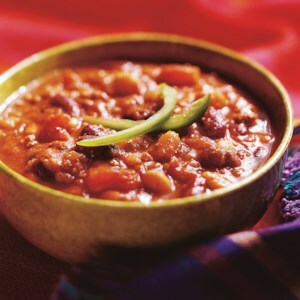 Here's a traditional recipe for a family favorite. 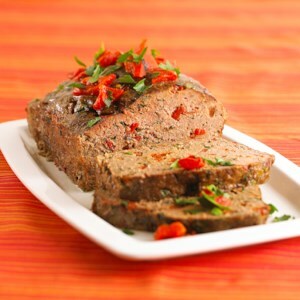 Buy the leanest ground beef you can find for this home-style meat loaf. This made-over classic boasts whole-grains and plenty of veggies for a really satisfying comfort-food dinner. 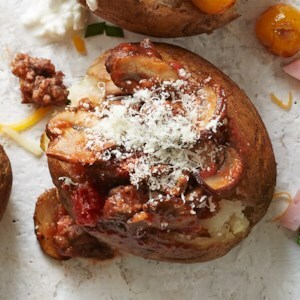 Break out of your pasta routine by subbing in a baked potato in this simple and satisfying dinner for one.